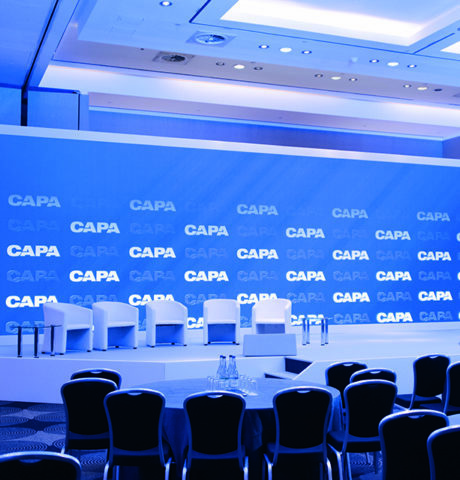 To supply a full A-Z production package for the joint CAPA & ACTE 3-day global summit. 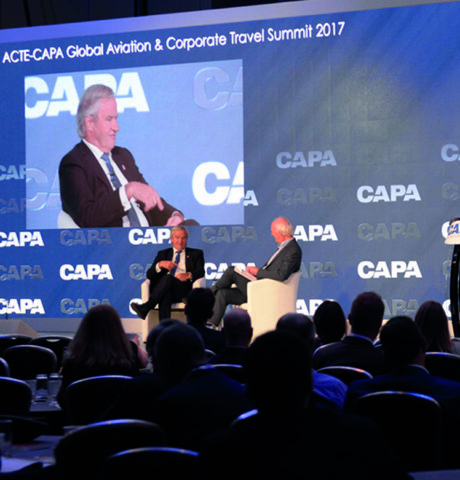 Covering the entire venue, from breakout rooms to main halls - we would be producing conferences, gala dinners and award ceremonies for an international audience responsible for critical global analysis into the aviation industry. To help the speakers present their findings we would not only be supplying technical support, but additionally our design and creative consultancy know-how. The entire summit would require involvement from all of Brighter’s internal departments. 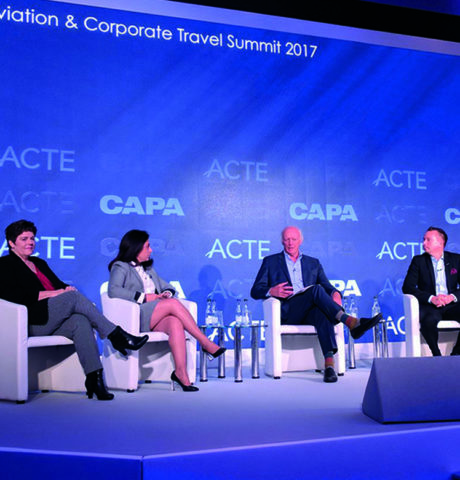 "supply a full A-Z production package for the joint CAPA & ACTE 3-day global summit." 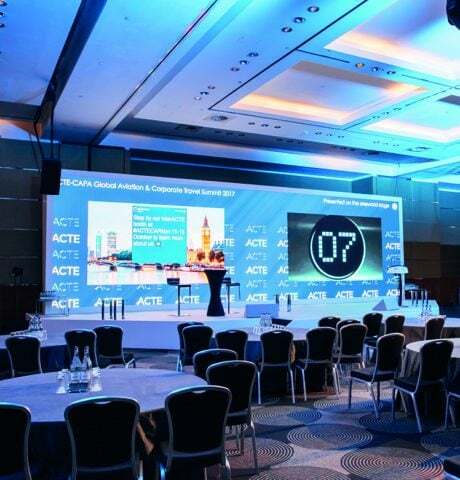 "conferences, gala dinners and award ceremonies for an international audience responsible for critical global analysis into the aviation industry"
"with the use of the Barco E2 Event Master we were able to overlay a live 4 camera mix"
"12 meter 2.9 ABSEN LED screen set back into a custom set build, designed and constructed by our in-house team." We were able to cover all technical demands of the numerous breakout rooms with our fixed AV package; built from presentation machines, seamless switchers, radio mics and the choice of either UHD large format display screens or projection. With our breakout technicians running daily sessions, the rest of the crew was dedicated to the main hall where we installed a 12 meter 2.9 ABSEN LED screen set back into a custom set build, designed and constructed by our in-house team. The LED screen was not only a great surface to display keynote speakers presentations but also with the use of the Barco E2 Event Master we were able to overlay a live 4 camera mix allowing even those at the back of the room to feel as though part of the conversation. To support the video production we supplied an additional lighting rig controlled with our Grand MA desk and a powerful line array system mixing radio mics and other production audio via our Yamaha QL5. We all absolutely loved working with the Brighter team and the stage and screen looked amazing.